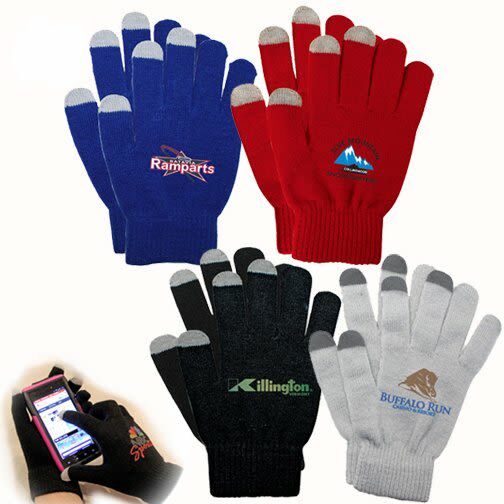 Don't let your fingers freeze when you text your friend! 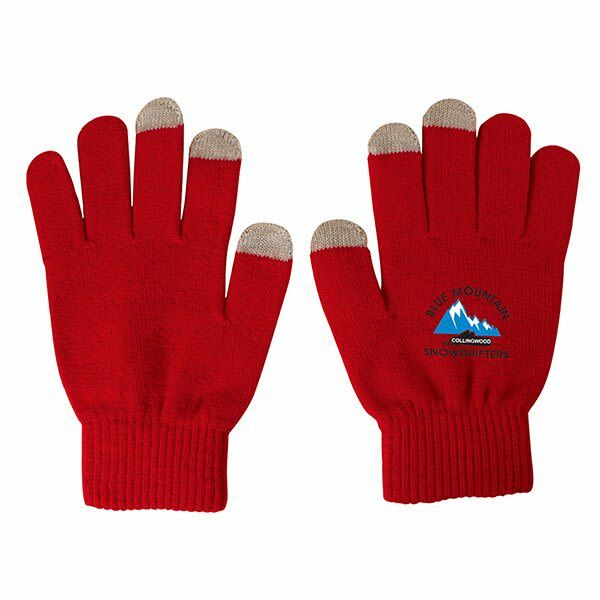 Whether looking for directions, making a call, or texting a friend, you simply cannot use a phone with bulky winter gloves or freezing your hands. 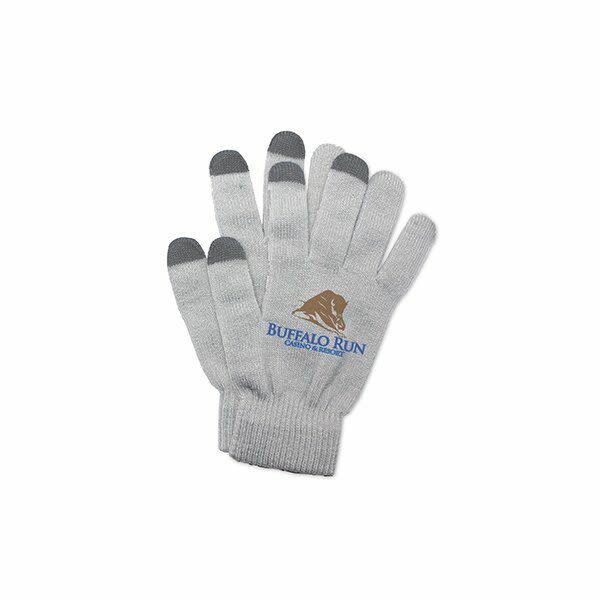 With these touch screen gloves, that's no longer an issue! 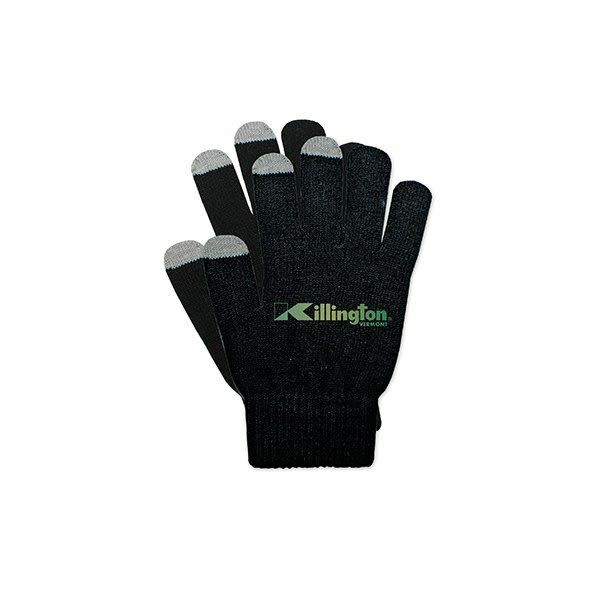 A great promotion for phone companies, tech stores, and more, these gloves feature conductive fingertips that provide universal touch screen access when wearing the gloves. One size fits most. 90% acrylics, 5% spandex, 5% conductive fiber. 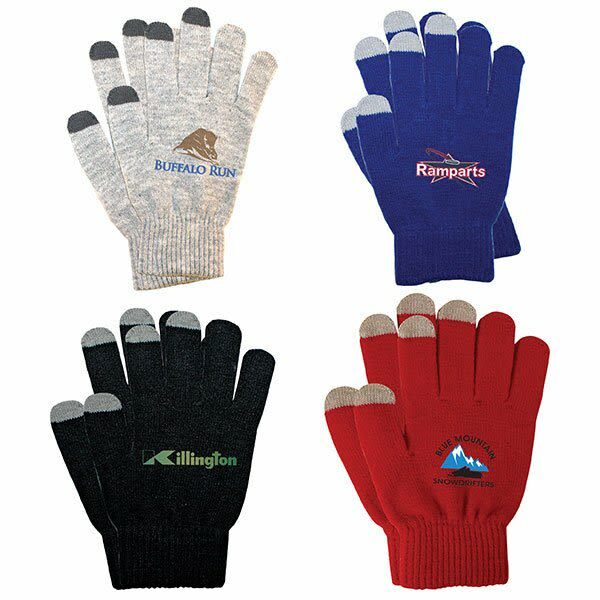 Price includes a full color imprint on the right glove. 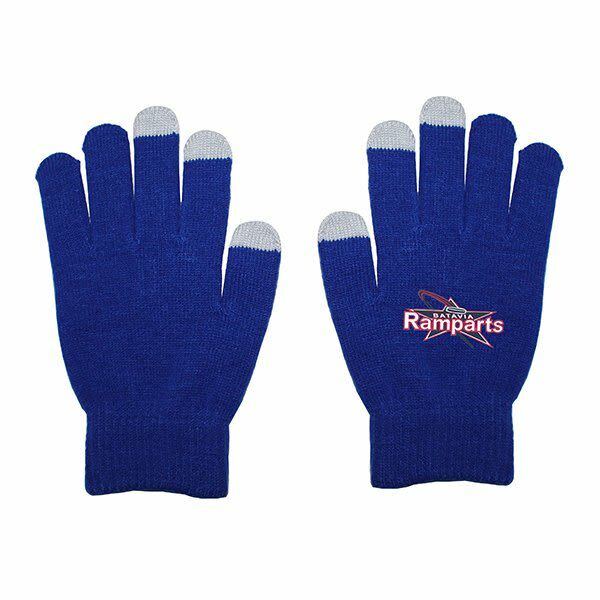 Imprinting on the left glove as well is available for an additional cost. Please call for more information.